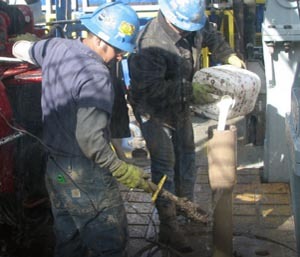 More than 80 percent of all waste from Pennsylvania’s oil and gas drilling operations stays inside the state, according to a new study that tracked the disposal locations of liquid and solid waste from these operations over 26 years. 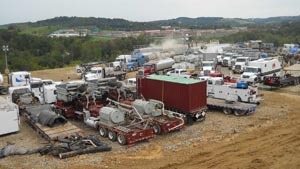 The study, published in the journal Science of the Total Environment, looked at waste from both conventional oil and gas drilling and fracking, or hydraulic fracturing, a process of extracting oil and gas from the Earth by drilling deep wells and injecting liquid at high pressure. This is the first comprehensive assessment of Pennsylvania’s waste-disposal practices since the state began tracking waste disposal data in 1991, and it suggests that Pennsylvanian’s aren’t being adequately protected from potential health impacts associated with the industry’s waste disposal practices. “Tracking waste across space—the distance and direction it travels and where it ends up—and across time helps us determine who is absorbing the potential health burdens associated with these waste products, both from recent operations and from legacy pollution across the lifetime of the state’s oil and gas operations,” said Lee Ann Hill, a researcher at Physicians, Scientists and Engineers for Healthy Energy (PSE) and lead author of the study, in a statement. The study concluded that Pennsylvania residents are bearing more than 80 percent of that potential health burden. Living near fracking operations has been linked to preterm births, high-risk pregnancies, asthma, migraine headaches, fatigue, nasal and sinus symptoms, and skin disorders over the last 10 years.